Not too long ago the folks at Stitchcraft Marketing and A Good Yarn, a yarn store in Sarasota, Florida, contacted me to see if I would be interested in a skein of one of their exclusive colorways. Of course I said yes! I took this photo while diving with my son Michael in the Solomon Islands, of a Nembrotha Cristata nudibranch. Nudibranchs are shell-less snails. They all have gills on their backs and a pair of antenna. This particular nudibranch was about an inch or so long and crawling among one of its food sources, some small coral polyps. Some of its more common names are Crested Nembrotha, Cabbage Nudibranch, and Cabbage Patch Nudibranch, which is how this colorway has got its name, Cabbage Key! 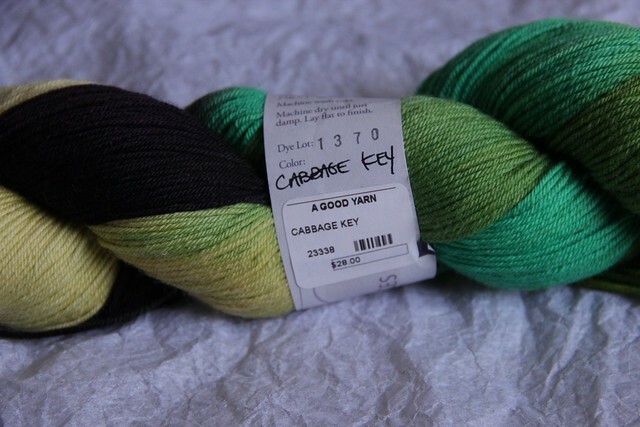 Cabbage Key is dyed by Lorna’s Laces on their Shepherd Sock base exclusively for A Good Yarn. Because the yarn was variegated, I wanted to select a pattern to minimize pooling, so I decided to knit Monkey by Cookie A. and call my socks Sea Monkey. I was pleasantly surprised that the yarn more or less striped! 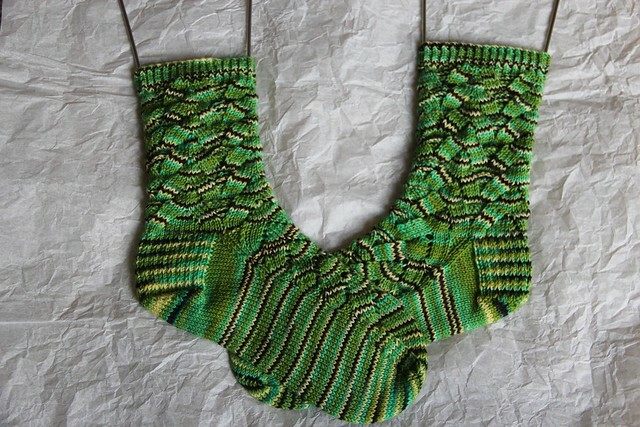 I really enjoyed knitting these socks. 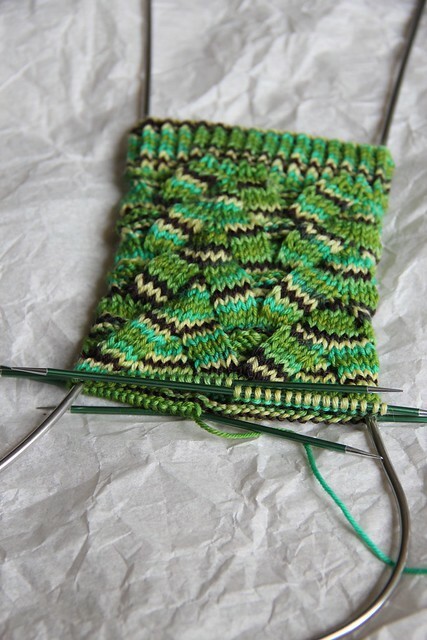 One of the first pairs of socks I ever knit was on the Lorna’s Laces Shepherd Sock base, and they have held up so well (9+ years and going strong) so I’m super excited to have another durable pair in the sock drawer. The colors are so fun and wild – just what I like about socks. 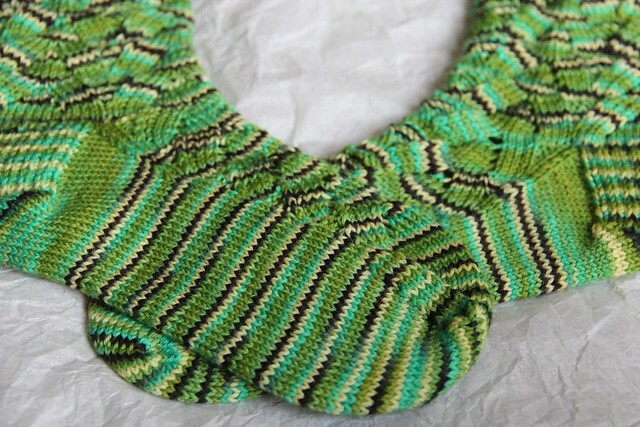 The yarn itself was a pleasure to knit – smooth and soft and just one more row until the next stripe, right? My only negative is that unfortunately I found one knot in the skein, however, industry standard is up to 2 knots per skein, so while disappointing, this doesn’t indicate anything about the quality of the yarn. I can’t wait for the weather to get cool so I can wear my new socks. 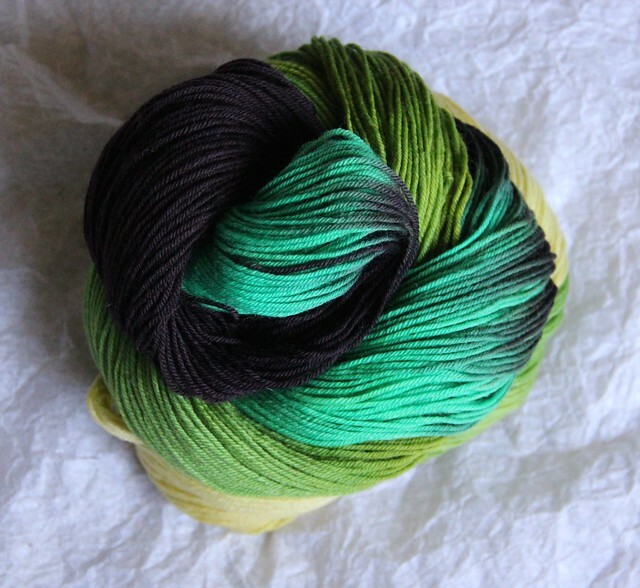 And you can bet I’ll be checking out some of the other exclusive colorways at A Good Yarn! A special thank you to Stitchcraft Marketing and the folks at A Good Yarn who sent me this yarn (retail: $28.00) for free. I received no other compensation for this review. All opinions and photos are my own, except where indicated. Thanks so much! They were fun to knit.